Serie A side Lazio have had a decent season with several players contributing their quota. A lot of top clubs have noticed their key players and are keen on a swoop this summer. For now the sporting director Igli Tare reveals that there have not been bids from Spanish giants Barcelona and Real Madrid as several reports have alluded to. He adds that he is yet to get any formal bid from Barcelona for Alberto despite the speculations. He also says there were no talks with Madrid for Sergej. 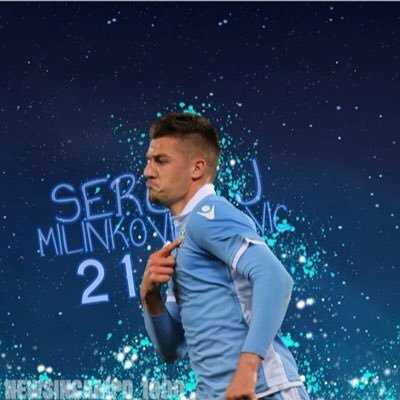 There were reports Tottenham Hotspurs were looking at bringing in two Lazio players Ciro Immobile and Milinkovic-Savic this summer and are willing to offer up to €130 million for the duo. He insists that he has not gotten any info regarding that and that he does not listen to the radio nor read the newspapers. On preparing ahead for the Champions League, Tare says the team is excellent as they are but then the management would look to see if there is need for reinforcement and act accordingly.